The Vision Gallery is a cultural center in Downtown Chandler, a place where art is integrated into our community. The Vision Gallery is a non-profit art gallery managed by the Chandler Cultural Foundation. Exhibits are rotated on a regular basis. For more information, please check our exhibition schedule. A portion of all art sales are used to fund the VISION KIDZ Program, a series of art education workshops offered to the community free of charge. Gallery 4 presents curated exhibitions with the mission to stimulate dialogue and the exchange of ideas as well as community engagement that provokes an insatiable thirst for human understanding and connection. 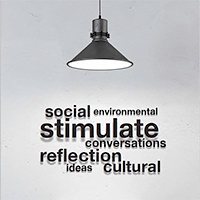 Exhibitions and programs in Gallery 4 invite the viewer to engage in personal reflection and conversation regarding social, environmental, and cultural topics. Artists presenting work in Gallery 4 intend to provoke thinking and stimulate dialogue for the exchange of ideas as well as community engagement. Through this presentation of art we intend to transform our immediate personal experience to a broader perspective. Ryan Gallery offers collectors and connoisseurs of fine art photography images by exceptional 20th and 21st century fine art photographers whose handcrafted works present the unique quality found only in prints created using traditional and alternative darkroom techniques. We serve our clients through exhibitions, online catalogs, privately curated showings, and through collaboration with their architects and designers to select artwork and oversee custom installations to meet their aesthetic desires. We can offer assistance with commissioned projects using our represented artists or through our network of photographers. 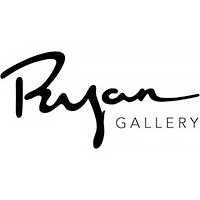 The artists represented at Ryan Gallery include the family estates of Wynn and Edna Bullock, and Imogen Cunningham, and other nationally and internationally renowned photographers. Join us to view and enjoy the extraordinary beauty of handcrafted prints by artists practicing traditional and alternative photographic processes. Lisa Sette Gallery exhibits painting, sculpture, photography, installation and performance in a comfortable setting on Marshall Way in Scottsdale, Arizona. Director and president Lisa Sette has shaped an art space that remains as vital and relevant today as when it was started, and is now well known in the global art scene. In a business that can be notoriously difficult and transitory, Sette has carefully maintained her unique aesthetic vision and refreshingly direct relationships with artists and collectors. After two decades Lisa Sette Gallery still exudes the playfulness and idealism of a new gallery, providing the community the opportunity to view approximately 10 exhibitions per year of art from around the world. By representing artists such as Enrique Chagoya, Binh Danh, Angela Ellsworth, Matthew Moore, Mayme Kratz, Julianne Swartz, and James Turrell the gallery's aesthetic ranges from work that is quiet yet compelling to art that addresses the social issues of our time. The gallery's vision is personal – demanding the work to be stimulating and moving – a visual voice that is relevant to the times in which we live. Our clients include new and established collectors, public and private corporations, and museums. When you think of photo galleries, New York City, San Francisco or Los Angeles probably first come to mind. But if you ask about where are the top leading photographic image makers using historical techniques and alternative processes within the contemporary and traditional fields of photography you’ll hear about the Tilt Gallery in Phoenix, Arizona. Tilt Gallery is owned by three photographers Michelle and Melanie Craven and Sabine Guedamour. The intimate gallery was one of the first to specialize in historic formats and alternative processes Timing was perfect. Tilt filled a gap, and quickly became a focal point for an emerging new photographic community. The gallery quickly built a reputation, first regionally, but soon reaching national and international audiences. 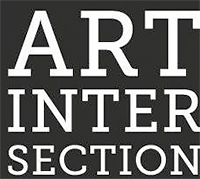 The Gallery offers juried, group, and individual artist exhibitions, as well as workshops on historic and alternative techniques, and educational programs on the creative process presented by top leading artists working in their field in Tilt’s arts and crafts bungalows in the Grand Avenue Arts District in central Phoenix. One of Tilt’s signature events is the “Photography Re-Imagined” exhibitions that have been juried by internationally renowned photographers France Scully Osterman, Christopher James, Jill Enfield, and Anna Strickland. Hosting over 35 exhibitions and building strong community collaborations that link artists, schools and educational programs, galleries, museums, and collectors. Founded in 1981, Etherton Gallery specializes in 19th, 20th Century and Contemporary Fine Art Photography. As one of the Southwest’s premier galleries, its inventory incorporates museum quality works including turn-of-the-century western American ethnographic and landscape photographs. Mixing traditional black and white contemporary imagery with vintage classical and digital technologies, the history of photography is always evident in the gallery’s holdings. In addition to fine art photography, Etherton Gallery exhibits paintings, prints, sculpture, and mixed-media works by local and regional artists, showing an eclectic range of works ranging from New Guinea Tribal Art to the photographs of Joel-Peter Witkin. Etherton Gallery is a member of AIPAD. Terry Etherton is an accredited member of the American Society of Appraisers.